Have you ever wanted to spend your night surrounded by your fellow Musical lovers while belting out your favorite tunes? Well, you’ve got two options. One, you can come to my living room any given day of the week where we are known for breaking out into rousing choruses of “The Schuyler Sisters”. Although it’s always a good time, you’ll probably enjoy the second option a little more. 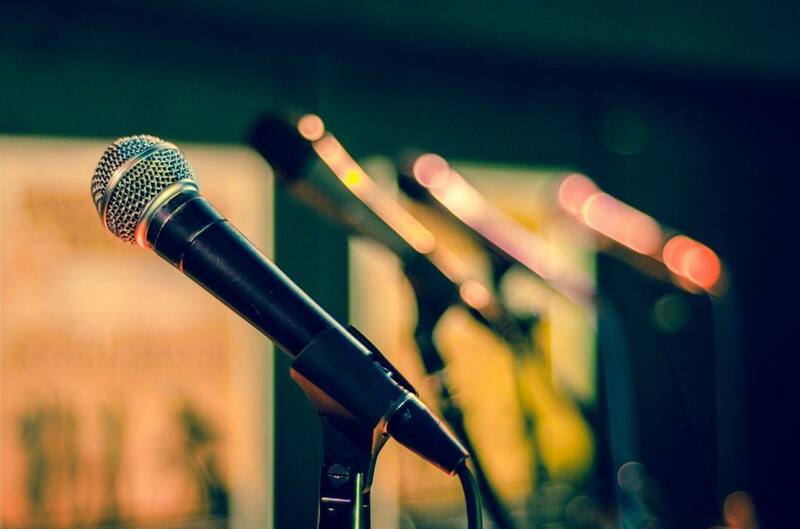 NonStop Broadway wants to make you the performer alongside your fellow audience members at two epic Sing-Alongs at the Short North Stage. Head to Short North Stage on November 24 for How Far I’ll Go / Rise Up! The first show, How Far I’ll Go, will kick off at 1 p.m. and feature music from all of your Disney favorites, including Frozen, Moana, Little Mermaid, Mulan, and more. 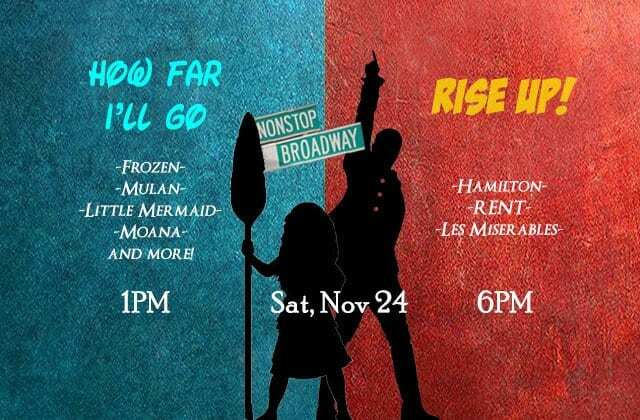 At 6 p.m., you can get your Hamilton, RENT, and Les Miserables on during Rise Up! The show is all ages, but it won’t be censored, so parents should keep that in mind. The Short North Stage bar will also be open for the show so you gain a little liquid courage to sing out loud and proud while you raise a glass to freedom. If you want to sing on stage, you can purchase a singing ticket for $15. If blending in is more your speed, you can snag a (Here comes the) General ticket for $8. There are also combo priced tickets for both shows! Tickets are going insanely fast, so if you want to go, don’t hesitate to click here. If you decide that you don’t want to throw away your shot at singing Hamilton on stage and purchase a singing ticket, you’ll get an email about details regarding song selection. Costumes are encouraged. Get up there, Columbus. Let’s see what you’ve got!